The below sections include links to materials and outside organizations that can provide assistance and guidance to Equine Rescue, Rehabilitation, and Sanctuaries. These Resources will grow as more are found and become available. The below resources are intended to provide Standard Operating Procedures and Guidelines for Shelters, Rescues, Sanctuaries, and Retirement Facilities. The below resources are intended to provide options for Accreditation for Rescues and Sanctuaries. Our mission is to improve the quality of care to animals in need of sanctuary. Our primary tool for achieving this mission is offering the only animal sanctuary accreditation program serving animals worldwide. Not all sanctuaries are created equal. Animal care is a poorly regulated industry, and thousands of organizations worldwide which describe themselves as “sanctuaries” or “rescues” do not provide quality or humane care for their animals. For all people invested in the welfare of captive animals, including donors, grantmakers, supporters and legislators, there is a shared desire to differentiate true sanctuaries. Through our evaluation process, GFAS can ensure that those designated as GFAS-Verified or Accredited uphold the highest standards for the animals in their care. Any organization that meets our eligibility criteria may apply to receive GFAS Accreditation or Verification. GFAS is proud to provide assistance to Accredited and Verified sanctuaries, including standards of operations, educational resources, mentorship, and support in times of difficulty. Find out more about the benefits of accreditation here. Are you a true sanctuary? It is the intent of the TAA to accredit all sizes and types of organizations. When going through the process, keep this in mind. Some standards and/or questions in the application may not be applicable to an organization of your size or type. Due date for the application is April 1, 2019 at 6 p.m. EDT. According to the TAA’s Code of Standards, accreditation status is determined after a complete review of five areas: operations; education; horse health care management; facility standards and services; adoption policies and protocols. Organization must have a current status as a 501(c)(3) federal not-for-profit (U.S.) or must be a registered charity within the meaning of the Income Tax Act (Canada). Organization must have been in operation for at least three years, based on the filing date with the secretary of state or provincial business registry. At time of application, organization must either (1) currently exclusively own and provide care for a minimum of 5 registered Thoroughbreds, or (2) currently exclusively own and provide care for at least 3-4 registered Thoroughbreds AND must have exclusively owned and provided care for at least 10 registered Thoroughbreds over the previous 12 months. Registered Thoroughbreds leased by the organization or owned by third parties at the same facility should not be included. Organization must have a written euthanasia policy consistent with the American Association of Equine Practitioners (AAEP). View the AAEP’s euthanasia guidelines. Organization, or a principal of the organization and related to the organization, must not currently have legal proceedings pending against them. If you do not meet the above minimum requirements, please contact us at info@thoroughbredaftercare.org with any questions. Once the application is completed and reviewed, you may be contacted to schedule a site inspection for each of your facilities. This inspection will be conducted by representatives of the TAA. Upon completion of the application, and site inspection(s), a review of your organization will be conducted to determine the awarding of accreditation. Accredited organizations are eligible for TAA grants. The below resources and programs are intended to help Rescues and Sanctuaries find matches between horses and owners. A Home for Every Horse was created in 2011 in result to a partnership between the Equine Network, the nation’s leading publisher of equine-related content, and The American Horse Council’s Unwanted Horse Coalition. The program provides a resource for 501(c)(3) horse rescue organizations. The A Home for Every Horse program helps connect rescue horses in need of homes, in over 600 rescues across the United States, with people looking for horses. To make the connection between rescue horses and homes, rescue organizations can list their horses for free on Equine.com, the world’s largest horse marketplace, where they can be seen by 300,000 visitors each month. Rescue organizations involved with A Home for Every Horse are also provided with many great benefits from the sponsors involved with the program. A Home for Every Horse specifically works with sponsors to help provide much needed assistance to rescues around the country. In recent years, Purina has donated a half ton of feed to eligible rescues through A Home for Every Horse. Absorbine, WeatherBeeta and Tractor Supply provide many great donations to rescues that are featured events attended by A Home for Every Horse staff each year. Equine rescue organizations are overwhelmed with taking care of the ever growing homeless horse population. A Home for Every Horse is dedicated to bridging the gap between rescue organizations and people that can help. Through A Home for Every Horse, over 1,000 horses annually are adopted along with many others who receive assistance from the A Home for Every Horse sponsors. Participating as a sponsor of A Home for Every Horse, sponsors are not only able to help horses that are seeking their forever home, they are also able to involve the consumer market in helping rescue horses around the country. The below resources and programs are intended to help Rescues and Sanctuaries with Fundraising, and Non-Profit Management. Including software programs to help with record keeping. The HHC Resource Toolkit includes a comprehensive list of resources for rescues looking for help with fundraising, technology, volunteer management, advocacy, grant writing and much more. A wonderful resource for rescues. The ASPCA Equine Fund provides a wealth of resources in addition to offering substantial grant funding. Education webinars range from stress management to becoming a 501(c)3, and building a better Board of Directors to getting the most out of social media. BarnManager is excited to offer free subscriptions to all registered 501(c)(3) organizations. BarnManager is a cloud-based software solution that provides horse owners and managers with the tools they need to streamline and simplify their daily management responsibilities. The program offers digitized record keeping for the many facets of horse care, and intuitive and simple business tools to make small business management accessible and easy. Managers can access BarnManager from their computer, smartphone, or tablet to create detailed horse profiles, track medical records, schedule appointments, and more. Rescue organizations abound, and it seems that each day more people become aware of the need of countless small and large animals who are unwanted and cast aside, suffering from abuse or starving from neglect. While some animal lovers choose to join existing rescues, many decide to embark upon the difficult task of creating their own organization and others become the leaders of existing groups. In How to Start and Run a Rescue, Jennifer Williams discusses the complex issues involved not only in starting a rescue but also in the long-term management of the organization. While Dr. Williams experience is in horse rescue, this book should appeal to anyone interested in starting their own rescue or improving their rescue operations for animals of any species. Dr. Williams, who has started and successfully run two rescue organizations, covers topics such as formation of a non-profit, formulating policies, fundraising and public relations. 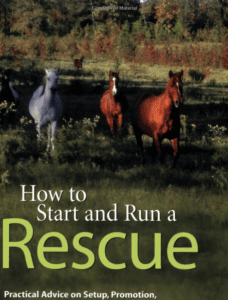 Readers involved in rescue at any level or interested in learning more about rescue should enjoy How to Start and Run a Rescue for its practical advice, insight into successful rescue operations and stories of real horses helped by rescue organization. The below resources and programs are intended to help Rescues and Sanctuaries with Volunteer Recruiting and Retaining. Supporter acquisition, whether its donors or volunteers, may take up most of your nonprofit’s resources, but your work shouldn’t stop there! After acquiring volunteers, how do you ensure that you’re also retaining them? How do I recruit and retain volunteers? If you find yourself asking this question regularly, you are not alone! Now, more than ever, communities rely heavily on a variety of nonprofit services for support and, in turn, the organizations that provide these services rely heavily on volunteer labor and donations. We touched briefly on the upcoming changes to nonprofit funding last week; these will help alleviate some of the financial struggles faced by nonprofits, but the reality remains that the need for services is too great for the number of volunteers out there. Volunteer support is an ongoing struggle for many organizations – both on the recruitment and retention fronts. The below resources and programs are intended to help Rescues and Sanctuaries with Equine Welfare grants and grant writing. The AAEP Foundation awards scholarships and grants to qualifying students, researchers, and nonprofit organizations to help horses in need. To learn more about our grant programs and scholarship opportunities, visit the link above. The ASPCA provides grants to U.S. nonprofit equine welfare organizations and other animal welfare organizations that care for horses, mules, donkeys and ponies in alignment with our efforts to protect all equines. The ASPCA seeks to award equine organizations that strive to achieve best practices both in nonprofit management and equine care. Unsolicited grants are generally awarded in amounts from $500-$5,000 and seldom exceed 10% of an organization’s current annual operating budget. A site visit may be required before or as a condition of a grant. SOS stands for Support Our Standardbreds. 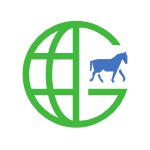 It is a USTA program that provides financial assistance to public agencies and 501c3 charitable groups caring for a registered Standardbred that has been abandoned, or is subject to removal due to legal intervention. MSU Libraries is a member of the Foundation Center’s Funding Information Network (FIN). The Foundation Center is a national nonprofit service organization recognized as the nation’s leading authority on organized philanthropy. FIN Partner Libraries provide access to and/or training in using the Center’s premier database for identifying grant opportunities and potential funders, the Foundation Directory Online Professional, described below. To identify other partner libraries closer to home, consult the Foundation Center’s Directory of Funding Information Network Partner Libraries. The Main Library’s Funding Center collection (on 1 East) contains recently published grant and financial aid directories and books on fundraising and grant/proposal writing. Materials may be used in-house or checked out with an MSU or Community Borrower’s card. They may also be requested through Interlibrary Loan. Consult the Main Library hours of operation and Reference hours to see when staff are available to offer assistance in using resources. Note: The Library is not a funding agency and Library staff cannot do your research for you, make referrals to specific grant-makers, or review your proposals.